Click here to view Roberta's Memorial Service. 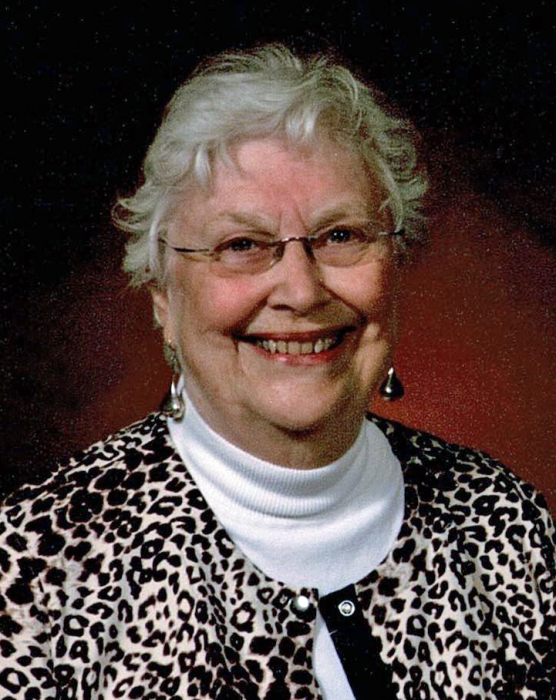 Roberta Jean Van Wagner, 85, of Aberdeen, passed away Monday, February 4, 2019, at Aberdeen Health and Rehab. Her wishes were to be cremated. Memorial services will be 11:00 a.m., Monday, February 11, 2019, at First United Methodist Church, 502 South Lincoln St, Aberdeen, with Pastor John Hisel and Pastor Derek Baum officiating. Burial will take place at Riverside Memorial Park Cemetery in Aberdeen at a later date. Visitation will be one hour prior to the service at the church on Monday. Family and friends may sign Roberta’s online guestbook and also view her service via the live stream service link at www.schriversmemorial.com. In lieu of flowers, memorials may be directed to First United Methodist Church, Aberdeen or the Aberdeen Community Theatre. Roberta Jean Parrott was born July 26, 1933, in Mound City, SD in Walworth County, to Robert and Lydia (Odland) Parrott. She grew up in Pollock, SD and moved with her family to Aberdeen at the age of nine. Roberta was raised and attended school in Aberdeen, graduating from Aberdeen Central High School with the Class of 1951. Roberta was united in marriage to Carlon C. Van Wagner, III in Aberdeen on August 29, 1952. The couple made Aberdeen their home, where in addition to being a wife, mother, and homemaker, Roberta also worked many jobs. One of her favorite jobs was hanging wallpaper with her good friend, Bernie Welk. Roberta and Carlon also lived in Milbank, SD for nine years prior to retirement. The couple raised four children and shared over 54 years of marriage before Carlon passed away on November 7, 2006. Roberta continued to make Aberdeen her home until the time of her death. Roberta was a member of First United Methodist Church and P.E.O. Chapter BH in Aberdeen. She was also a past-member of the Westerners and the Aberdeen Community Theatre. Roberta enjoyed family activities, church activities, coffee with the girls, and helping organize class reunions for The Class of ’51 with her best friend since 4th grade, Lisa Bean. Like her mother, Roberta was also very talented with needle and thread. Blessed to have shared in Roberta’s life are her children: Kathryn (Keith) Sprinkel and Carlon “Bud” C. Van Wagner, IV, both of Aberdeen, Robert (Tonya) Van Wagner of Redfield, SD and Russ (Leah) Van Dassor of St. Paul, MN; 12 grandchildren; 17 great-grandchildren; brother-in-law, Marvin (Tomi) Rapp; niece, Jean Rapp; nephew, Steven Rapp; as well as many cousins and friends that were important in her life. Roberta was preceded in death by her husband; parents; sister, Ruth Rapp; and two great-grandchildren.